I woke up surprisingly early this morning, so when I text Ali at around 11 I didn’t expect a reply. Apart from he got up before me and was ready and waiting when I was to pop out in the car today…something made that feel like an alternate universe had sucked me up. Either way it wasn’t long before I picked him up in the car and drove to a few shops to pick up the necessary supplies to clean my car inside out. 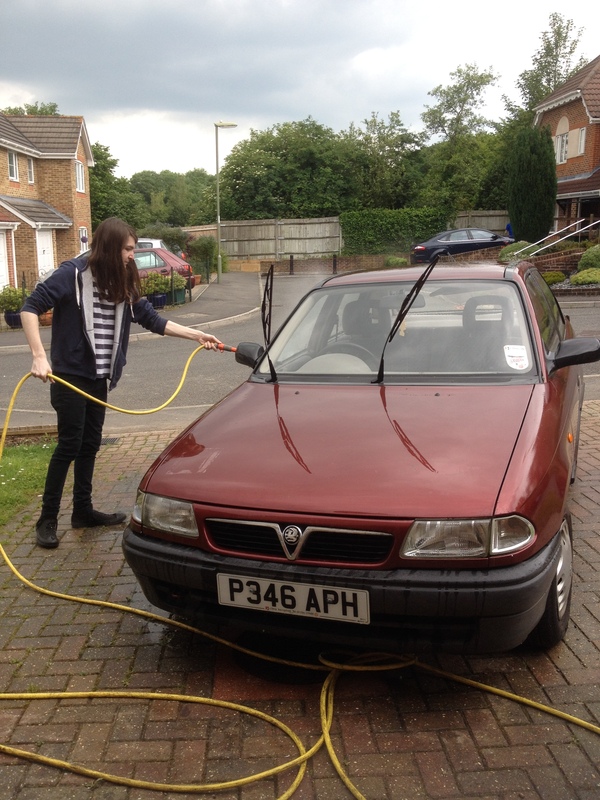 Before today I had no idea Ali was a master at cleaning cars but he’s done a damn good job on mine! Him being a total perfectionist has totally paid off especially as he sighed at me for not cleaning parts properly and going over it again. I’d like to say I worked just as hard all afternoon but I really didn’t. He cleaned every inch of it and was pleased with the amount of room we had once we put the seats down (more space for instruments and amps…sigh). I love doing things like this together, it makes me so happy just doing something small like this. So in return after relaxing for a bit I decided to buy him dinner, taking him out to a pub that we both like and getting some pretty decent food. It’s days like this that really make our relationship special, and that’s why we’d rather spend a night in than going out all the time or go to gigs rather than fancy restaurants. We’re us and we’re equal (most of the time) and I wouldn’t have it any other way.